A little over a year ago I joined the Stellar Kayaks racing team. 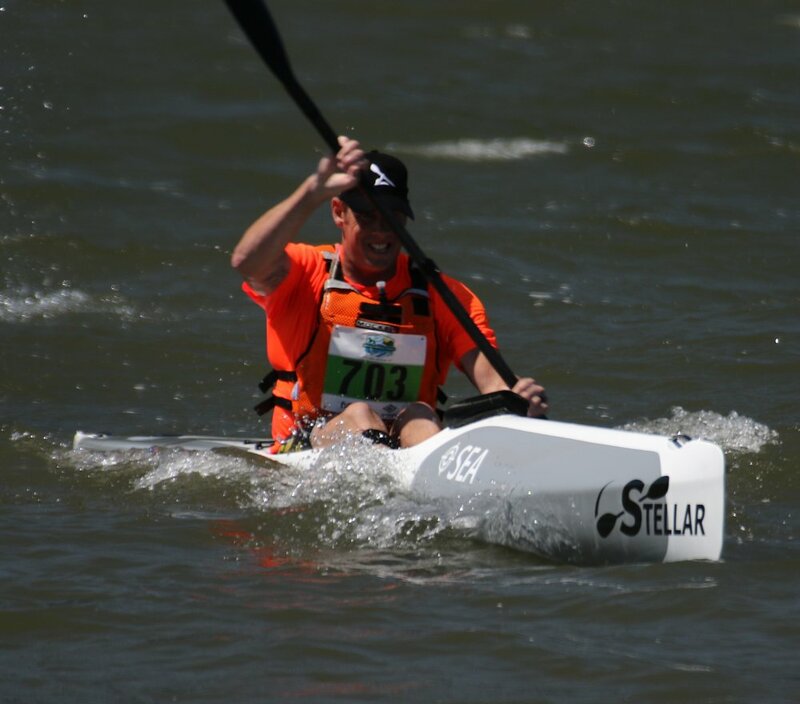 I received an SEL in the Excel layup just less than a month before the 2017 Durban Downwind, the first and last big race for the year before I was to leave for North America to race the Canadian Surfski Champs and Gorge Downwind Champs in Hood River. My first paddle was a 22km reverse Buffels Run from Fish Hoek in less than average downwind conditions. I was immediately impressed with the performance and characteristics of the SEL. I fell ill at the Durban race but went on to get 7th and 9th in Canada and the Gorge respectively, both satisfactory results. I met Dave Thomas and Ben Lawry of Stellar Kayaks USA in Hood River. Dave is a fairly quiet guy, evidently passionate about paddling and boats in general and has been nothing but supportive to me since I joined the team. 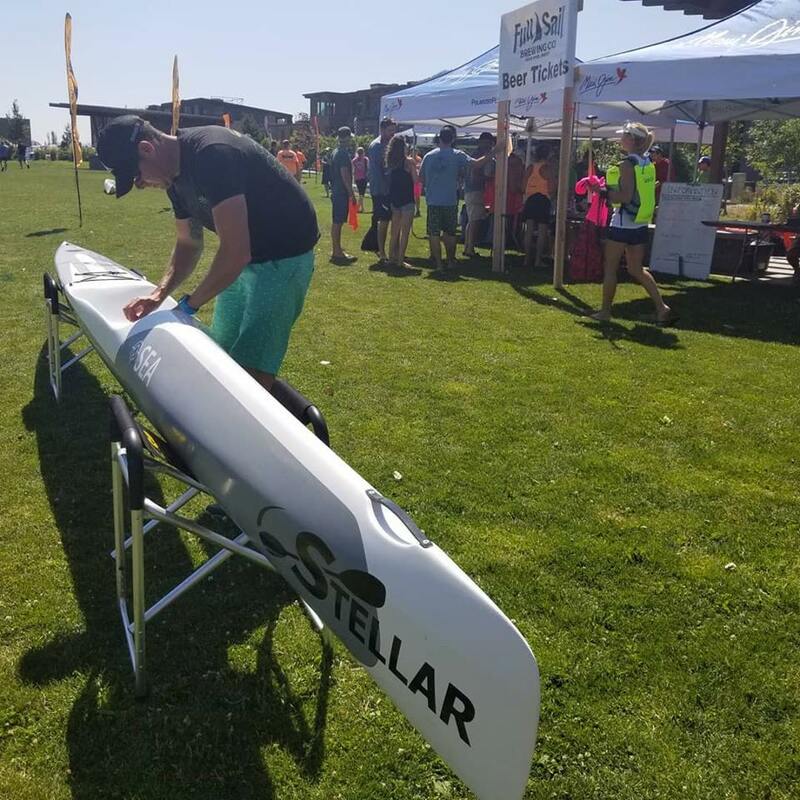 After a week of paddling the course in Hood River, both Ben and Dave pushed me to try out the SES, the slightly shorter and smaller Surfski produced by Stellar. 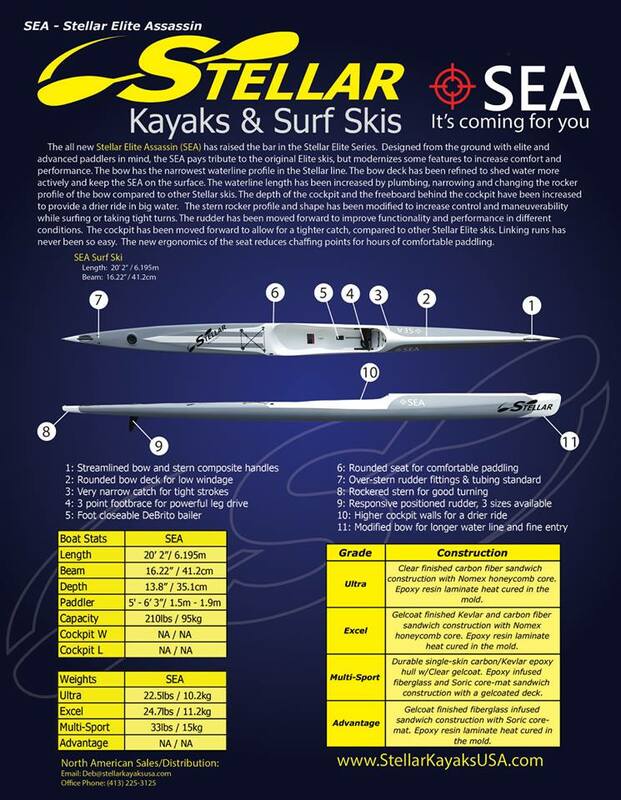 Interestingly, up until that point, a lot of what I was hearing about the Stellar range (from the paddling community) was that the SEL was considered to be more of an intermediate level boat and the SES the racing snake. I found the SES to be narrower in the cockpit and up front, however not so much that I would consider it too small for me, as was suggested by some. At the end of the week Dave, Ben and I got into fairly lengthy discussions around the possibility of a new boat. These conversations were exciting and provoking and I was optimistic about the possibility of a new boat becoming a reality. I'm not sure whether he had run it past Dave at the time, but Ben had already named the weapon the SEA. Stellar Elite Assassin. Water Line. The Stellar range have all got a distinctive upswept bow. Great for downwind conditions, this is often considered wasteful in flatter conditions. The SEA boasts a squarer bow-end with less rocker than the SES and SEL, without losing any functional waterline. It seems to be just as comfortable in the rough stuff as the SEL and holds a great line in the flat. Into the wind it slices nicely into the chop without any slapping. Narrow bow. The SEA, particularly at first glance, is noticeably narrower than the SEL. it has been slimmed down to just a few inches wider than the footbrace, retaining the signatory pitched foredeck (only more rounded in the SEA) which is great for shedding water in downwind conditions. Updated cockpit. This is where anyone who is self-conscious of their waist line would immediately become apprehensive. The foredeck transitions into a substantially higher-walled cockpit which in turn transitions into a rounded-out, slightly higher seat. The higher walls are a massive improvement on both the SES and SEL, and, provide a significantly drier ride. The higher cockpit walls drop down at the widest point of the bucket itself, making sure remounting is still easy. The seat itself is not much narrower than the SEL, but so precise is the engineering here that there is barely half an inch between the inside of the seat and the outside of the hull. My race boat was fitted with a debrito bailer which I operated easily with my heel throughout the race. Behind the cockpit. The aft-deck boasts the traditional Stellar criss-crossing bungee cords, raised section for strength and neat rudder hatch. Flip the boat over and you'll see another new feature. One of the unmistakably Stellar characteristics is a keel-like hull toward the stern. Not on the SEA. This boat has been "shaved" down from the rudder (which has moved 2 inches toward the bow) to the tip of the stern. This has given it a slightly looser feel in the runs, without sacrificing and directional control. I used two different rudders throughout the week, one being the traditional 8" swept rudder and the other being a trimmed down high-aspect rudder at around 6,5". Both were equally as effective, and I had no problem controlling the boat, which turns significantly better than the SEL. Paddling this weapon. I am 6ft 2 and 88 kgs (most days), wide-hipped and long-legged. So, I would guess I am on the larger and heavier end of the spectrum, particularly in the racing field. I love the width of the SEL and found the cockpit of the SES a bit low, especially in confused water. The SEA however, keeps the internal width of the SEL and SES but the higher cockpit walls mean that my size 11 feet are well sunken, ensuring a much drier paddle. On my first paddle, the first thing I noticed was that the seat was different. It isn't anything major, but the slightly more rounded sides and squared off back of the seat was instantly comfortable with no seat pads as I am accustomed to. Great start. Off the bat, the narrower catch was noticeable and as I dipped down the first little run off Viento I braced for that splash of water on my knees. It never came. The deck profile and raised cockpit walls made sure of that. I weaved my way down the 13km course up the Columbia River, through Swell City of course. I really enjoyed it how manouverable I found the boat when zipping between the short, steep runs. The primary stability was rock solid, and only at some pretty extreme rolled positions did I begin to identify some instability, but certainly no more nor no sooner than what you'd expect from any other elite-level boat. Compared to the SEL and SES, I would say that it has the primary stability of the SEL and more like the SES when it comes to secondary stability. I was able to accelerate on call, the narrower bow piercing through the bumps ahead and really throw the boat around to test its predictability and behaviour in the short, steep runs. The pic Dave took of me leaving the water after that run pretty much summed up my feelings and I couldn't wait for the next run. There is no shortage of speed in the SEA. Toward the end of the Viento run there is a patch of water which is a lot flatter than the preceding 12 km. It was there that I was able to get a really good feel for what the SEA is capable of. I did a few short-and-sharp max speed intervals, comfortably getting the boat speed up in under 15 strokes. I did another run, the following day (Wednesday) which was a lot windier than Tuesday, still, I found no fault in my new toy. On race day we had what race organizer and all-round good guy Carter Johnson would describe and "chronic " conditions. His pre-race briefing was long, full of detail and left nothing to the imagination. We were blessed with "proper" downwind (as Billy Harker would put it) conditions. The race, the conditions and the boat did not disappoint, my only regret is that I had used a plastic bag- covered seat pad to protect my nought for the 90 min race which had me slipping around a bit in the busier parts of the race. In hindsight, I didn't need the seat pad. Apart from a short stretch where I was in a bad patch of water, I had a great race and couldn't have been happier with the performance of the new boat. The boat was available for the week to be tried out by anyone who was interested, I look forward to hearing more from those who took that opportunity, I'm certain that reports will be nothing but positive. All in all, I believe the guys at Stellar have got a winner in the SEA. Chatting to a few guys around race HQ in the week, one local had said that they’re stoked to see that Stellar has produced a “legit ski”. No one is more excited about this than me. Except maybe for Ben, he’s pretty excited too! In this era of excellent reviews of all the newest “latest and greatest” surfskis to hit the market, I think it’s time to take a step back, in time. I recently used the Mr. Fusion unit I had installed on my Ford Explorer (easier to find than a DeLorean) and went back to 1995 and picked up a brand new Futura Carrera. I would like to share this time travel experience with you here. My good friend and my OC-2 Chattajack partner Jason Hjelseth recently contacted me about a Futura Carrera he found on the interwebs. It looked to be in perfect condition and the price was less than a new paddle. My first two skis were Futuras. My first was a yellow Futura C-4 (Big Bird), and the second was a pastel purple Futura Blade (Barney). I had moved from these workhorse beasts to a Think Uno Max, Think Ion and Think Evo II. But I have a weak spot for the old Futura skis. When I saw the price and condition on this ski I just had to go get it. This boat was in a retirement community in Florida, an eleven hour drive from my Tennessee home, but I was going to be in the area visiting family anyway. Trust me; going into a Florida retirement community was going back in time, they haven’t changed since I visited my grandparents back in the 70s. This background on this ski was an all too common story found with older skis. Guy buys it new, never really fits in it, and puts it in a garage thinking he’ll lose weight. Twenty two years later there’s still a new condition ski sitting in his garage along with every other ski and kayak he’s had in that time. We pulled it out in the sun and inspected it. There was slight corrosion on the stainless rudder cables and slightly pitted aluminum pedals. The hull is perfect. Not a scratch. Nada. The top deck is nearly perfect except a couple of minor nicks in the seat area repaired with little dots of epoxy. So this like new boat is on my car and heads out of the trailer park and into 2017, an era where skis are shaped like torpedoes and feel like they are made of egg shell. Loading this boat on and off the car is an undertaking. This ski is a glass layup, and the owner stated that it’s 39 pounds. If it is 39 pounds, then a moose only weighs 39 pounds. If you have a boat like this and there is no one helping load it in the V-rack, you’ll really be happy about the powerlifting you’ve been doing in the off season. The Carrera was an intermediate boat, at 20 inches wide and ~19 feet long; similar to the current Epic V8 Pro®. Like all Futuras that I have ever encountered, it has a kick up rudder. This particular specimen has NO outfitting which adds to its fresh, out-of-the box feel. No deck bungees, no hatches, no glued-in seat padding. Curiously, it has no drain plug. Like my previous Futuras, it does have a small breather hole drilled at the very bow in the deck. Since this is the wettest area of the ski, I always found that placement rather curious. I will be plugging it and adding a breather higher on the foredeck. I managed to get the ski out in flat conditions on Thanksgiving morning for a five mile paddle. This was a bit of advance penance for the wanton gluttony that was to follow. I was on the intercoastal waterway near Sebastian, Florida, but in the early morning it was like glass with no cruisers turning up wakes. Spending most of my time in a 17.5” wide Think Ion, I really expected the paddling ergonomics of this wider boat to feel like I was paddling a plastic sit-on-top. However, I was immediately surprised that the stroke felt extremely natural and that this ski had shockingly good glide. The ergonomics were a bit weird. There was a much lower hump level than my old Futura Blade made for better leg drive, but the very tight individual footwells really squeezed my calves. Not painfully, but it was noticeable. This mostly will be resolved with better footplate adjustment. The primary stability on this boat was astonishing. It felt like I was on an outrigger it was so stable. I could barely rock it side-to-side on purpose. I’ve been in 24” kayaks that felt twitchy compared to this thing. Secondary stability? I couldn’t dream up a way to test it in flat water. It was that stable. Eventually, a loaded small fishing boat cruised by at about 6 mph and I jumped onto his side wake to see how it felt. I couldn’t even feel his wave, no impact on stability, no impact on steering. I did manage to get some more speed on that wake and kept pace with the boat for about 2 miles. I jumped across the prop wash, still no movement in the boat. It was unflappable. I really would like to get it in some rougher conditions soon and see how it feels. This ski doesn’t feel like a modern ski at all. It’s like someone took an 18’ unlimited paddleboard, put a low bucket molded into the deck, and you paddle it seated with a double blade. It feels very “flat” whereas newer skis having you sitting higher and more “in” the ski rather than on top of it. When you sprint in this boat, it goes up on plane. Of course, sprinting in this boat is a good way to get a hernia with its weight. The hull is very V-shaped, unlike the more rounded or chined hulls of modern skis. The rudder is an overhung, aluminum rudder steered with humongous aluminum pedals which are connected by ¼ inch thick stainless steel cables. If you aren’t using these cables to steer, you could use them to lift an engine out of car or pull stumps out with a tractor. The only repair I had to do the ski was to replace the bungees that keep tension on the pedals and rudder. The originals were dry-rotted completely through. One thing that most modern ski owners will find interesting in this boat is the lack of any kind of bailer. I imagine the thoughts at the time were that skis were meant to be awash. The footwells and bucket are relatively low volume, and I found these don’t paddle much differently full of water. Also, you can pump out some of the foot well water by repeatedly slamming your feet back and forth. We’ll chalk up the introduction of bailers as a good change for sure. So why own an old ski like this? This particular ski is very stable and easy to paddle, so it’s a great ski to introduce friends to the sport. It’s also a great cold weather training ski where swimming is a bad option regardless of thermal protection. These old skis are also incredibly easy to remount due to their shallow buckets. Also, thanks to its overhung rudder, heavy construction, and extremely low price point it makes a great shallow river boat. That’s a big consideration for us inland paddlers . And for me, I like the nostalgia of owning a pristine Futura. So, much like the antique car hunters looking for barn finds, get out there and find an old ski, canoe, or kayak and rescue it. It’s fun traipsing around in the past. Just don’t forget to get your DeLorean up to 88 mph to go back to the Futura! With manufacturers turning their attention to introducing polyethylene surfskis and lowering the financial entry barrier for the sport, this is an exciting time for the growth and popularity of surfski. Doing so will open the door to surfski performance for paddlers everywhere, leading to, what I suspect may be a rapid increase in those using these versatile and fun craft. Although polyethylene surfskis have been available elsewhere in the world for some time, they have had limited distribution here in North America … until now. In short order we have seen Epic Kayaks debut their polyethylene V7 and V5 surfskis and now Pyranha has partnered with Think to launch the Pyranha Octane / Think Nitro. The first thing you notice about the Octane is its good proportions and pleasing appearance. It’s a good-looking boat that has not been softened too much from its Think composite stable mates. At less than 21 inches wide, it’s somewhat narrower than its competition and a little longer too, resulting in a striking presence. Unique to this ski, is its ability to add the P&H kayak sail system for even more versatility. The Octane is also well equipped with an easily accessible day hatch; water bottle holder; comfortable and easily adjustable footboard; a quick deployable and fast acting bailer; great carry handles; ample cut-aways for an aggressive catch; full size stern Kajaksport hatch and the ability to easily jump from an under stern rudder to a kick up rudder for shallow water use. All these features not only make the Octane versatile but also extremely practical for a wide variety of situations and environments. But it’s on the water where the Octane really stands out. Once seated, I found the bucket to be extremely comfortable with legroom sufficient for someone up to about 6’6” and not excessively wide that I would be bouncing around when in the rough. Although the bucket is deep, remounts were a piece of cake. The good-sized footplate is padded, easily adjustable and extremely comfortable, although there was some unnecessary flex on really hard efforts. The Debrito bailer opened and closed easily with a little kick of the heel and a fully flooded boat drained moderately quickly at cruising speeds. While paddling, the bucket provided the support I was looking for without being over bearing, which allowed for good rotation and leg drive. The cutaways at the catch area were perfectly positioned too. The bottom-line is that the Octane never encumbered my ability to paddle well. Under power, the Octane immediately felt familiar to me. Upon examination, it looks although there are some strong influences from the best selling P&H Hammer, which is a boat I have spent a great deal of time in. The mid-section beneath you features a flat-ish hull with defined rails running from near your feet back to almost the tip of the stern, while moving forwards, the hull radiuses nicely. The Octane is easy to paddle and glides surprisingly nicely up to moderate speeds but as you’d expect from a plastic boat of this type, it does hit a wall hard where additional speed is hard to find, (all be it at speeds most users of this boat will never hit.) After all is said and done, the Octane is a boat that will keep you efficiently zipping around at surprisingly good speeds, all day long and in comfort. Once in the bumps and rough water, the Octane continues to show its prowess as a great platform for those exploring this element. The ample volume and stability kept the boat moving and dry thru confused water, allowing the bailer to do its work. Jumping onto some bumps, the 7” under stern rudder was perfectly in tune with the boat on low speed surfs and the boat responded instantly in part also thanks to its rocker profile. On technical surfs, the weight of the boat ultimately stopped me from pushing the boat into some situations but once again, these are situations that the likely buyer of this boat is unlikely to encounter. Although I have yet to be able to paddle the Octane on some whitewater with the optional kick up rudder, I think this boat would be a hoot to play with in this environment. So putting everything together, I can honestly say that the Octane is a fantastic platform. The collaborative effort between the teams at Pyranha and Think have created a winner that has not been detuned from its composite siblings to the point of numbness while still offering a fun and inviting platform. I would add an Octane to my quiver for friends to use as an introductory platform and for me to try taking a surfski into environments I would otherwise not be willing to take my composite boat into. These new polyethylene skis truly do offer all the fun and versatility that their composite stable mates do but at a fraction of the price. This is an exciting time for the sport. It may not be totally new, so perhaps it’s best to say that the 2016 Uno Max is the updated or modified version of Think’s preeminent race surfski. No matter what you call it, the Uno Max is a High Performance Ski that checks all the boxes for the category. At a published weight of 24 pounds (for the Ultimate) it’s light, and when weighed, the ski actually weighs in at just a hair over 23 pounds. It’s fast; after two weeks on the water my best 10k time trial has been redefined and in general it seems that the Uno Max is giving me a consistent .5 -1km/hour increase in speed with no appreciable addition of effort. Of course, as a HPS it has the stability that makes your core cry for relief and increases the frequency of those refreshing little swim sessions that we all love to hate. So there you have it. A high performance ski that has all the qualities that you expect and isn’t lacking anything. Short and sweet right? Well, let me be honest, as a beginner or immediate paddler, at best, considering the purchase of a ski like the Uno Max left me asking the singular question of; why? Sean Rice, Kenny Rice, Jesse Lishchuk, Teneale Hatton, and Mackenzie Haynard are all world class paddlers and can push the Uno Max to its full effect. But what does this ski offer for the less gifted or more challenged paddler? If you’ve ever done a clinic with Jesse Lishchuk than you’ll probably remember his focus on feeling the paddle and feeling what’s happening with the ski. This concept resonated with me and has become a big part of my paddling. So going to the Uno Max was less about speed and performance and more focused on increasing the feel or sensitivity of the surfski. Don’t get me wrong though, the speed and performance aspects are nice too. Simply put, the Uno Max is exceeding my expectations. The ski is allowing me to feel and experience aspects of paddling that until now have seemed just out of reach. For instance, the speed is there, you feel it the moment you get in the ski. In fact, this is the first ski that has allowed me to feel the sensation of the boat lifting with each stroke. While this may not seem like a big deal, it’s a level of feedback that has significant implications on paddling technique and ultimately, speed. The other standout feature of the Uno Max is acceleration. When the paddle catches, the ski moves and the initial response is immediate, without hesitation. Without a doubt, the weight of the boat is a factor but the position and fit of the bucket contribute as well. The bucket feels just slightly forward and the fit is snug with no pads. Like a good pair of running shoes, every brand has a unique fit and for me, at 6 feet and 185 pounds, the Uno Max is a great fit with no modifications needed. The word that keeps coming to mind when thinking about how the Uno Max handles is “scalpel”. The ski is precise and responsive to every input. When you steer it points, when you lean it tracks, and it answers to whatever you give it from the paddle. Most importantly, you feel everything. Where this really shines is when catching runs. My first time out with the Uno Max made me feel like I blithering idiot. It seemed impossible to get on the runs and to be honest, it frustrated me immensely. Luckily, the second day out in the bumps turned into a fantastic experience. What took me some time to figure out was that, given the acceleration, the responsiveness, and immediate reaction of the Uno Max, all my inputs needed to be dramatically scaled back. Once this clicked, it was astonishing, how easy it was to get on waves and place the ski where ever it needed to be. From my perspective, this is one of the best features of the Uno Max. However, what’s clear is that this is not so much a singular feature, as it is the outcome of all the features of this ski working in concert. The Uno Max is a ski that will push you to grow and develop and at the same time, offer up greater sensitivity and feel for the ocean. In terms of quality, Think continues to deliver a product that is reliable and demonstrates a commitment to detail. Like any new ski, it pays to take the time to check every screw and give the ski a thorough “once-over” before taking it out for the first time. With no surprises in this area the Uno Max is proving to be a great surfski, even for we paddling mortals. One final note: It would be remiss of me not to give a big thanks to Mark and Mark at Elite Ocean Sports for their patience and help. Likewise, Mike Canfield of Ocean Paddling Company delivered the ski to my doorstep which was both unexpected and greatly appreciated. Like most paddlers I’m paying for all my equipment and have no sponsorships so the service, responsiveness, and commitment to product are aspects that I appreciate and will keep me coming back. Thanks guys." Vaikobi's entry into the low profile race and fitness ready PFD market arrived last year and has been steadily picking up steam with paddlers ever since. So is the jacket for you? Read on to find out. I tend to engage in a good deal of precursory visual assessments before committing to a PFD. Initially, upon viewing images of the Vaikobi, I was concerned that perhaps it may have been a tad too wide at the upper and lower back as well as the top front area. This proved to be unfounded. The first thing I noticed when taking the Vaikobi out for assessment was---nothing. I noticed absolutely nothing that grabbed my attention---I consider this a good indication that the jacket hit the mark in the low-profile arena. I did not feel any tightness or pinching in any areas requiring high mobility or anywhere else for that matter. In full disclosure, I forgot that my intention was to test and simply carried on with my session. Since this first outing, I have used the Vaikobi exclusively. During colder months it was worn over a semi-drysuit. With the arrival of slightly warmer weather- a wetsuit, and finally, rash guards in the present. All similarly felt very non-invasive. The two front compartments are thankfully zippered, which I greatly appreciate. I tend to get concerned about losing my keys in deep water with open pockets. The compartments are not expedition friendly, but this is not the intended purpose for a racing PFD. The pockets have enough room for the necessities: Keys, gel-packs and perhaps a small EPIRB. The hydration compartment should fit standard bladders and if not used for it's intended purpose could easily carry more gear if desired. The jacket zippers in the front and has an additional buckle strap under the zipper. I personally prefer zippered options over those that have to be pulled on over your head. Side buckles allow for additional adjustments for fine tuning your fit. Flotation is rated at 50 and has no problem providing adequate buoyancy. The large fits my 175 lb frame perfectly but also seems to work well for smaller and slightly larger paddlers. Overall, a great PFD from Vaikobi that hits the mark for racing, fitness paddling and those that prefer a low profile jacket. Previously posted on Surfskiracing.org, updated with Gara paddle review. It is a decent sized list, as I have run through some paddles trying to find the one that's 'right' for me. I did have some reservations though, as being co-owner of Eliteoceansports, importer of Jantex (since the fall of 2013), G'Power paddles (since the spring of 2013), the Think Powerwing, and most recently Gara Paddles (since Nov 2015) I was a bit concerned about how such an article would be taken. Keep in mind that my two longest standing paddles of choice prior to becoming an importer of any paddles were the Jantex Gamma Medium and Jantex Beta Medium, and that I'd tried many paddles before settling on first the Gamma, then the Beta. Still, to avoid bias as much as is possible, I've chosen to give my personal impressions of all of the paddles rather than a review of which is best, as I find that to be a very personal decision anyway, based on a variety of factors. As you will see below, I've owned (or borrowed long enough to try in a variety of conditions) lots of paddles! Still, there are a lot more out there that I've not tried, so any omission is simply b/c I've not tried it. Because of this, there are gaps in the review to be sure, in particular the fact that there are no Braca paddles included here. The reason for that is simply that I've never owned one, or had access to one for long enough to test it and form an opinion. So, if anyone wants to send me some Braca paddles to try, I'll gladly demo them in a variety of conditions and add them to the review! Also, keep in mind that I am not an engineer or an expert in paddle design or building, nor am I claiming to be an expert. This is my personal experience and view as a middle age, middle packer, who paddles 90% of the time in the Atlantic Ocean or in choppy conditions in Charleston harbor here in South Carolina. OK, the business of disclaimers is out of the way, lets take a look! - Jantex Gamma Medium: This was the first paddle that I every owned that I stuck with for a long period of time (nearly 3 years). It's a teardrop shaped blade with a reasonably clean, strong catch and a dynamic pull phase. Exit is clean but not super clean. This paddle performs well in a wide variety of conditions and I find it to be easy to manage in chop and ocean swelling, as the pull phase is easily altered mid stroke and the catch is quite forgiving for being so clean. So, as you tire or as your form lags due to conditions, the paddle will continue to perform and not 'bite back'. Also very easy to alter your cadence with this blade, a nice shape if you like a higher cadence. I found that I could paddle comfortably with this blade in a variety of conditions for up to 30km. I tried this blade for a short period of time several years ago and quickly returned to my Gamma Medium all the time. This size in this blade is definitely for smaller paddlers, or very long distances. - Jantex Gamma Rio Medium Minus: This paddle is a similar shape and surface area as the regular Gamma Med but the shape is slightly more aggressive. The result is a powerful catch (more powerful than the standard Gamma Med), a very clean catch, but a less forgiving catch than some other blades. The pull phase remains dynamic like the Gamma Medium and the exit is very clean and smooth. Overall, the blade is reasonably forgiving but the catch needs to be made smoother than say the Gamma Med or an Epic Mid, so it's definitely a bit less forgiving than those blades. It also feels bigger than the other blades in it's size class, certainly bigger feeling than the Gamma Med and Epic Mid. I find that anything much over 10km with this paddle and I start to tire, my technique starts to get sloppy, and I lose efficiency with this paddle. That said, it is a nice paddle for a clean downwind, where you're using short, hard bursts to catch runs, then resting. This is the paddle that Sean Rice is currently using, if that gives you an idea of what kind of power can be generated with this blade. - Jantex Gamma Rio Small Plus: Very similar overall to the Gamma Rio Medium Minus, but the small blade size makes it accessible for distance paddles for mere mortals like myself. Again, a super clean catch and exit, with a strong catch and dynamic pull phase, easy to alter cadence. On the water it feels very similar in size to the Gamma Med even though it has significantly less surface area. An all around performer for a mid-packer who is looking for strong/clean catch than won't tire them out. 'plonk' 'plonk' with this paddle. When you get it right, it has a longer pull phase and feels very clean and smooth. For me, this is a great distance paddle for a technically savvy paddler. These also seem to be popular with the lifesaving/round the cans crowd for some reason. - Jantex Beta Medium: My current paddle, and my main paddle for the majority of the past 3 seasons. Has a somewhat technical catch but is still reasonably forgiving. The catch is less powerful than the Gamma Rio shape and slightly less forgiving. Has a strong, locked in pull phase that lacks the dynamic feel of the Gamma line. This makes the stroke more difficult to alter and makes the paddle a bit more technical in chop and ocean swell. The trade off is that the paddle feels easier to leverage during the pull phase and doesn't 'slip' in the water as much for me. The exit is very clean. This paddle can be frustrating in chop and ocean swell, particularly if you're used to a paddle with a more dynamic or alterable pull phase. Should be slightly tougher to alter your cadence with this paddle but I don't seem to find it an issue. Much like the Gamma Medium this is a paddle that I have used comfortably in a variety of conditions up to 30km. - Jantex Beta Rio Medium Minus: Has a very strong, technical catch that is slightly less forgiving than the Beta Med, and definitely not as easy to alter cadence. Pull phase is equally locked in and exit is quite clean as well. Much like the Gamma Rio Medium Minus, this blade feels much bigger than the same sized Beta Med, as the powerful catch fatigues me quickly. I find that much more than 6km with this paddle and my technique starts to fade away and I become a flailing mess of inefficiency. Would be a really great paddle for a reasonably strong flat water distance paddler. - Jantex Beta Rio Small Plus: Oh my! A highly technical, very unforgiving catch, with a strong/locked in pull phase and very clean catch. If your technique is off on your catch this paddle will propeller down into the water beside the boat and pull you with it. Very hard to use efficiently in chop or ocean conditions. This is a paddle for a paddler with a very clean, efficient, and consistent technique looking for a smaller blade for flat water distance efforts. The feel of this blade reminds me very much of the Select Kayaks Rush Racing Small. - Jantex offers 4 shaft stiffnesses; Extra Stiff, Stiff, Soft, and Flexi Soft. All of my Jantex paddles, save one, have been soft shafts. For surfski applications this is the best compromise of stiffness, weight, and forgiveness of the bunch. This is the shaft that Sean Rice uses on his Medium Minus. The Stiff shaft is slightly lighter and slightly less forgiving, so you're trading a bit of comfort for a stiffer/lighter shaft. The Flexi Soft is a nice alternative for longer distances or smaller paddlers, though I've recently seen photos of an elite level stronger surfski paddler using this shaft. The Extra Stiff is really reserved for very strong sprint paddlers only. Jantex shafts have a bit of texture to them and are round. - Jantex has a proprietary stainless steel clamp and quick release system they've adopted over the past year. It clamps around the shaft rather than long ways across it. I find it harder to open and close on the fly compared to more standard quick release clamp, but it appears more sturdy and is adjustable. - Galaxy II Small: Galaxy II is G'Power's teardrop shaped paddle. Similar feel in the water to the Jantex Gamma Rio Small Plus only slightly bigger, slotting nicely between it and Gamma Rio Medium Minus in terms of power, otherwise, performance and feel is very similar. - Galaxy II Medium: Again, feels very similar to the Gamma Rio paddles only this one feels slightly larger and more powerful than the Gamma Rio Medium Minus. This would be a very nice paddle for a strong surfski paddler or a flatwater paddler looking for a nice, clean, powerful catch. My friend Charles Goodson used this paddle in his Stellar SEL at the MR340 this year. - Nitro: This is a big sprint blade that is one of the smoothest feeling paddles from catch to exit that I've tried. Very clean, smooth catch, strong locked in pull phase, and very clean exit. Too much paddle for me beyond 2km, but if you are strong enough to paddle it, it feels silky smooth. Reid Hyle used this paddle to win the 12 mile North Shore Cup last year, so it can be used successful in distance ski paddling given the right engine. - Ultralight: Smaller than the Nitro but a similar shape, this still feels like a big blade. Not quite as clean as the Nitro overall, it nonetheless has a very clean and technical catch, strong/locked in pull phase, and somewhat clean exit. This is a paddle that can bite back a bit and is not an easy paddle to use in chop and ocean conditions. Two of my PRs on my time trial courses are using this paddle, but conditions on both days those were set were flat. I'm pretty sure that over 10km I am faster with this paddle than with my Jantex Beta, but it's less forgiving and it's bigger, so when conditions get rough or the distance extends beyond 10km this paddle can become a handful for me. I tried using it in the 2013 L2L with disastrous results; too far, too choppy for this blade. 10km or less, flat water is where this blade excels for me. - Maverick: Similar shape to the Nitro and Ultralight but smaller and more technical. This blade is not as technical as the Jantex Beta Rio Small Plus and Select Kayaks Rush Racing Small, but it's in the same ballpark. Technical catch that is somewhat unforgiving if you get it wrong, locked in pull phase, exit similar to the Ultralight. Great paddle for a long distance flatwater paddling for a good technician. - Cyclone L: This is G'Power's parallel wing blade paddle. Very similar to the Jantex Alpha but not quite as clean in my hands for some reason. - G'Power offers 3 constructions: Hard, Medium, and Soft. The weight goes up as the construction gets softer and the weight penalty is noticeable to me. Because of this, I tend to stick with the hard construction. The Medium construction feels slightly more forgiving than the Jantex Soft Shaft. G'Power shafts and blades are built seamlessly and have a great look and feel. The shafts are round, have no texture to the surface, are very smooth and somewhat slick to me. - G'Power currently uses a standard lever lock system that locks long ways across the paddle rather than wrapping around it. - Epic Mid: This was one of the first paddles I tried when upgrading from my very first wing paddle. It has a decent but not super clean catch, nice dynamic pull phase, and reasonable exit. I find it a versatile paddle that is very forgiving, which makes it nice for a wide range of paddlers, and makes it nice for rough conditions in a variety of hands. It's not the most dynamic feeling paddle in the water, and to me doesn't have one great aspect to it, but the overall package does the job well in a wide range of conditions for a wide range of paddlers. The paddle feels light to me, lighter than the Jantex paddles. The shafts are oval and smooth, not quite a slick as the G'Power but still feels slick to me. - Onno Smaller Mid Wing: Feels very similar on the water to the Epic Mid, just a smaller size. The construction looks pretty cool on this paddle and the paddle was super light. Shaft was round and it used what has become the standard lever lock system that locks long ways across the paddle. - Powerwing: Again, feels very similar on the water to the Epic Mid, but a smaller size. A versatile paddle that is very forgiving and suitable to a wide range of paddlers. Also a light paddle, which combined with the smaller blade size, makes it suitable for smaller paddlers and longer distances. The shafts on these are oval and smooth with a standard level lock system. - Swing Classic: My first wing paddle. I remember it feeling heavy and I remember it had a pistol grip on the right hand side which made my wrist ache after every paddle. Another forgiving wing paddle that worked well for me as a beginner and would probably be serviceable to a variety of paddlers in a variety of conditions. The clamp system on this had a threaded sleeve that required a tool that came with it to tighten and loosen it. - Kajner 2L: Another teardrop shaped paddle. This is a paddle I tried when moving on from my Jantex Gamma Medium. It actually wound up feeling very similar to my Gamma Medium with a reasonably clean, strong, yet forgiving catch and dynamic pull phase, with a fairly clean exit. I remember it feeling very slightly smaller than my Gamma Medium. I didn't stay long with this paddle, not because I didn't like it, but because I was looking for something different from my Gamma Medium and this was too similar. The shaft on this paddle was round with some texture, fairly forgiving and flexy. The clamp system was a hose clamp that had what looked like a home made lever attached to the head of the bolt that tightened the hose clamp. The lever failed pretty quickly, so to tighten and loosen it, you had to use a coin to turn the bolt. - Rush Racing Small: Oh my, part 2!! Another highly technical, very unforgiving catch, with a strong/locked in pull phase. The catch is very clean if you get it right. If your technique is off on your catch this paddle will propeller down into the water beside the boat and pull you with it. Very hard to use efficiently in chop or ocean conditions. This is a paddle for a paddler with a very clean, efficient, and consistent technique looking for a smaller blade for flat water distance efforts. This was the second wing paddle I ever owned, and it was an eye opener as it did nothing but steepen my learning curve. It was a very light paddle made of high quality prepreg carbon. The shaft was round and the clamp system required an allen key to loosen and adjust it, though the clamp itself had a little holder for the allen key. - Gut M: This is another biggish sprint blade that ties with the Nitro for being super smooth and clean throughout the entire stroke. Super clean, smooth stroke, strong pull phase, buttery exit. It was ultimately too big for me and much like the Nitro, it is not the most forgiving blade in ocean conditions. Still, it would be an interesting paddle in Jiri's new XS size, as I'm wondering if the size is part of what made it hard to manage. The shaft on these is round and textured. Jiri uses a unique clamping system with an expansion mechanism inside of the female side that is operated with a dial you turn to tighten and loosen it. It worked very well but I wondered how you would service it if there were ever a problem. Along with my old Knysna Swing Classic, it's one of the heavier paddles I've owned. My training partner Andy McMarlin has been using this paddle for the past 3 seasons to good effect in a variety of conditions and distances. - GP4: Very similar feel to the Jantex Beta Medium. This paddle feels very similar to the Beta but seems to have slightly less volume. Like the Beta, it has a somewhat technical catch, though it might be slightly less forgiving than the Beta, with a less clean pull phase and reasonable exit. In chop and ocean conditions this paddle can be a bit difficult to use cleanly in my experience, perhaps a bit more even than the Beta Medium. - GP3: This is Gara's parallel blade paddle. It is a very clean feeling paddle on flat water, very similar to the other parallel blade paddles here but with slightly less overall volume. 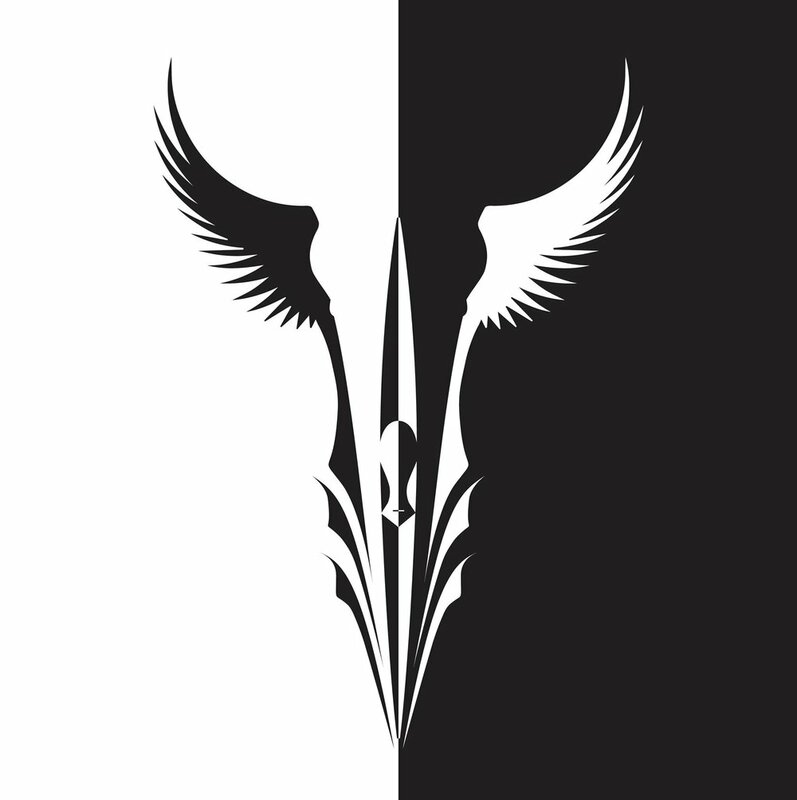 And like the other parallel blades, it seems to become more difficult to use as the conditions get rougher. clean) at the catch as the Gamma Rio, with a size somewhere between the Rio Small Plus and Rio Med Minus. Much like the original Gamma, I've found that I can use this paddle comfortably in a variety of conditions for long distances. The shafts on the Gara paddles are round with some texture, feel fairly forgiving with a slight amount of flex. A very similar shaft to the Kajner, which I found quite comfortable as well. They use what has become the standard lever lock system that locks long ways across the paddle. Well, that about covers it, I hope some people have found this helpful, or at least interesting. There are a lot of different paddle shapes and sizes out there, and what you have to do is find the size and shape that suits your style, strength/fitness level, and discipline. The best paddle for one situation is often not the best one for another, so you may need to have more than one paddle in your quiver. I will finish by saying that the biggest take home I've learned from trying all of these paddles is this: Don't get hung up on the numbers. The dimensions and sq cm measurements can be so misleading because there is so much more to how a paddle feels and performs in the water, and size is only one part of that. My two paddles of choice are a perfect example. The Beta Medium, Gamma Medium, Beta Rio Medium Minus, and Gamma Rio Medium Minus all have identical measurements but b/c of the difference in the shapes, the Rio shapes feel bigger and more technical. And the Beta Rio feels bigger than the Gamma Rio. I have people call me all the time and tell me what size paddle they are using and end up comparing two completely different shape paddles thinking there will be no performance difference b/c they are the same dimensions. I have found this to be far from the case, so be careful when choosing based on dimensions, you may find yourself missing the bigger picture.